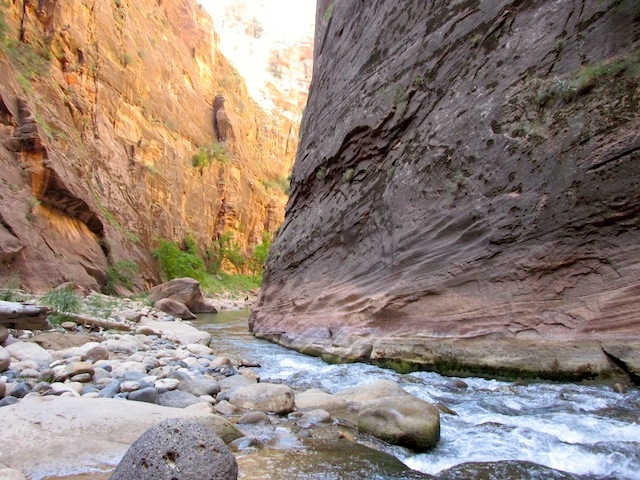 A breathtaking view of Zion along The Narrows trail! In early July, I spent a three days and four nights in Utah with the purpose of exploring Zion. My friend Ann (who pitched the idea of going to Yosemite last year) suggested this particular trip a few months ago. It sounded too good to resist, so I signed up. While solo traveling has its perks, we were hoping to get more people to commit to this brief adventure, as traveling in groups can significantly cut costs.